In the end, Peyton seemed to really enjoy Pinocchio. I know I enjoyed watching it again. It’s nice being able to share a film I grew up loving with my daughter. 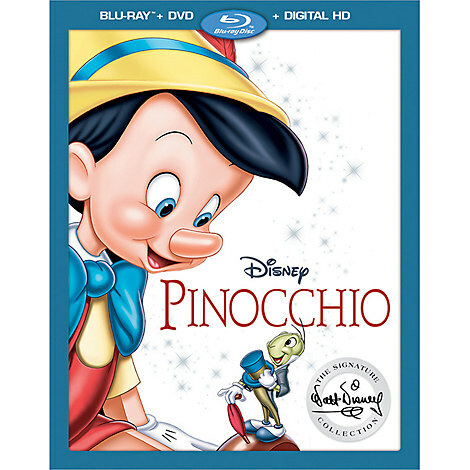 In the Blu-Ray release of Pinocchio, you get a few extras! The Pinocchio Project: “When You Wish Upon a Star” – Watch some of today’s hottest music influencers rearrange the iconic song into a new format. Walt’s Story Meetings: Pleasure Island – See some recently discovered original artwork that reveals what Pleasure Island could’ve looked like. In Walt’s Words: Pinnochio – Watch Walt, himself, discuss the magical making of this classic. And so many more! Those were just a few of my favorite bonus clips. You can find Pinnochio at your local retailer or online or The Disney Store. Remember to act fast! Disney only lets these amazing classics out of the vault for so long before they go away.